In The Walking Dead's seventh season, Rick Grimes finally acknowledged his daughter Judith was actually a biological product of his wife Lori and former police partner Shane Walsh. The actors who used to play the real parents on the AMC series have no shared their touching reactions to the moment from Episode 7x04 (Service). Shane actor Jon Bernthal, who is set to play the unforgiving Marvel character The Punisher in a self-titled Netflix series, was surprised the AMC series acknowledged to true parents of Judith. Bernthal cherishes his time on The Walking Dead and the people he worked with on the series but still had a little fun after the reveal. “I think most important with that show is I really love the people that make that show. That cast are some of the actors that I’m closest with in my life," Bernthal said. "Andy [Lincoln] might’ve shot me a message to let me know, a funny text." Lori actress Sarah Wayne Callies has a much more personal reaction to the news of Judith's true father being Shane. “I’m the mother of an adopted son in reality, so to me the parents of a child are the people who stand up and take responsibility for that child," Callies said. Like Bernthal, though, Callies had a little fun at her former co-star's expense. In the past, Rick actor Andrew Lincoln and Michonne actress Danai Gurira have both shared their own touching perspective of Rick's handling of the situation with Judith and her true father. The Walking Dead's sibling series Fear the Walking Dead returns September 10th. The Walking Dead will return for its eighth season on October 22, 2017. 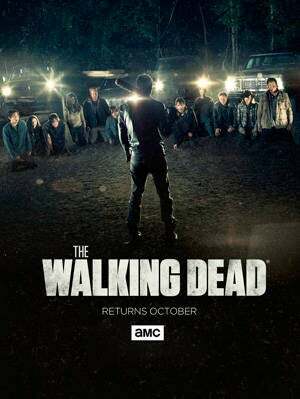 The Season Eight premiere will mark 100 episodes overall for the popular AMC series. For complete coverage and insider info all season long, follow @BrandonDavisBD on Twitter.